Oops, I’ve mismanaged my expectation of the work and was therefore, utterly puzzled by it! To begin with, I was so very confused by the structure (not chronological!) and almost gave up for the frustration in trying to keep up with the back and forth and all around in time. About ¾ of the way through this memoir, I finally understood that this work wasn’t really about the author. Whilst she was keen to explore her background and family history, the heft of her work is related to her birth country, Malaysia; the history, the culture, the food (! ), and politics. Because I was more invested in finding out about her story and her family’s story. I found those section a lot more appealing though I had to muddle through the switches between times and was also perplexed by her love lives. Far be it for me to judge but it was something I do not understand so once more, I was driven to confusion. On the other hand, the topics explored on Malaysia was truly enlightening. Whilst I know and loved some Malaysian cuisine, it seems I barely know anything of the country itself. I also grew up in an East-Asian country and cannot deny my Chinese appearance / heritage so I understood quite a few things she underwent and some of the matters expounded. 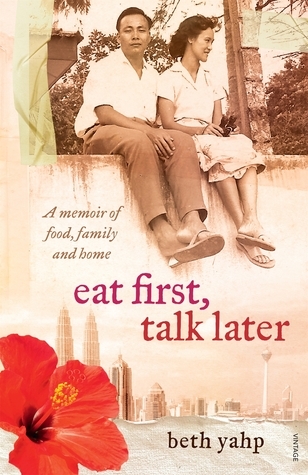 Eat First, Talk Later is an exploration of Malaysia with snippets of author’s family’s historical links to the country. It was a struggle in making sense of certain timelines but as to the topics discussed, author was eloquent in her views and they were clearly articulated. I think I would have enjoyed this more if I didn’t have to puzzle out the timelines. This entry was posted in Australia, Australian Author, History, Malaysia, Memoir and tagged #history, #malaysia, #memoir on 31/12/2015 by Tien. This was a bookclub read which accorded with our theme for the year, adaptation. Truthfully, it wasn’t really something I looked forward to reading and I was still using the excuse of morning sickness of not being able to finish it on time. I just wasn’t looking forward to reading all about the cruelty we can visit upon another being; of the sadness and depressing things this book may just tell me about slavery etc. 12 Years a Slave is an autobiography first published in 1853 –just after he was rescued from slavery. My friends and I found it, therefore, somewhat odd that the book was quite lacking in emotion. It had the feeling of someone who is telling a story but who was not involved in it. On the other hand, we could understand that delving in past hurtful wasn’t something that he’d like to do. This was written merely as an official record of what was happening in the country at that time. 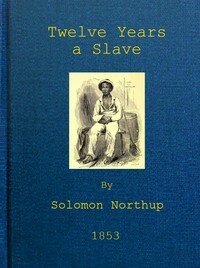 At the beginning of the book, after Solomon Northup described his background and rise to prosperity, he made a comment on kidnapping people of colour from the North and placed them into slavery in the South. It appears that this was NOT an uncommon thing and this, more than anything else, caught me by surprise. I didn’t realise that this happened regularly and made me wonder whether this is a common sort of knowledge in the US. My expectation was completely different to what I actually found in the book. This primarily affected my average sort of reaction to this book. It merely tells of Solomon’s kidnapping, his time as a slave (brave and yet, trying to keep under the radar to survive), the atmosphere in the North (types of plantation, the process, the people, etc), and lastly, his miraculous deliverance. There were few moments where I was touched (slightly) but overall, after all the accolades the movie has received, I can’t see it in the book. I haven’t yet seen the movie though I would hazard a guess that being a screen adaptation, there will probably more emotions involved and being on screen, the graphic deliverance of some scenes will touch people harder than the words used in this book. This entry was posted in Classic, Memoir, Reviews and tagged autobiography, books to movie, slavery, solomon northup on 10/06/2014 by Tien. Tides, how did this happen? he wondered as they turned and headed back across the lawn to the palace. An hour ago, he had control of his life and the lives of those for whom he was responsible. Suddenly, it had all slipped from his grasp. He’s insisting he’s a Tide Lord and he’s begging us to try again…to kill him, that is. When a routine hanging goes wrong, the survivor announces he is Cayal the immortal Prince, a Tide Lord. However, the only known record of the immortal beings of Amyrantha is the Tide LordTarot…and everyone knows it is only a parlour-game, an amusement. Arkady Desean, an expert on the legends of the Crasii – a part-animal, part-human race – is sent to interrogate Cayal. But in exposing this would-be immortal, Arkady’s own web of deceit threatens to unravel. Nothing is as it seems around the Immortal Prince. The lies seem plausible, his stories improbable…and the the truth is more than any of them bargined for. This entry was posted in meme, Memoir, Non-Fiction, teaser tuesdays and tagged aussie author, fantasy, meme, teaser tuesday on 04/03/2014 by Tien. Rather than just lark around with the children teaching them songs all day, I also tried to help Belle with her chores around the house. She was happy for the assistance and would always praise me for my attempts at housework, then secretly redo everything when I stepped out. Stephen Lee’s grandchildren knew him as a humble grocer. Beneath his humble exterior, however, lay one of the most extraordinary stories of the twentieth century. Lee was born in Canton, China in 1902. As a teenager he was sent to live with relatives in San Francisco. He attended college at Iowa State and later transferred to UC Berkeley where he was one of the first Chinese-Americans to receive a degree. The widespread racism of the time prevented Lee from landing a job in his chosen field of finance, so he burned his papers and returned home to China. With the clouds of war gathering, Lee, an anti-communist, found work in the accounting and logistics office of the Cantonese Air Force where he quickly rose to Colonel and comptroller. In 1929, after securing his position, he married a local beauty named Belle and in 1930, his first child, Amy, was born. When the Japanese pushed south from Manchuria in 1936, the Cantonese Air Force was merged with that of Chiang Kai-shek’s and Lee was forced to flee with his wife and four children to Hong Kong. There Lee took a job with the Canton Trust Company. On the eve of the bombings at Pearl Harbor, the board of the Canton Trust made the fateful decision to send Lee to Kwelin to set up a new office. After Hong Kong fell to the Japanese, Belle and the children were force to flee on foot to Kwelin, which became a three hundred mile, six-week ordeal of hunger and hardship. In 1943, Kwelin was evacuated and the Lees were once again on the move. Forced to play the part of refugees, the Lees moved up river, eventually landing in the small village of Foo-Luke outside of Chungking. There Stephen was invited to teach accounting at the local university. But tragedy soon struck again when a sudden flood nearly washed the family down the Yangtze River. After the war, the Lees returned to Canton where they found that their home had been converted into an auto repair shop by the Japanese. Undaunted, Belle set about rebuilding it while Stephen helped return the city to civilian rule. By 1948, however, the Communists were bearing down on Canton and Lees were compelled to relocate again. In 1955, the Lees fled for a final time–to America. Back in San Francisco, Lee found that attitudes towards Chinese immigrants had not changed much since he first left there 30 years before. 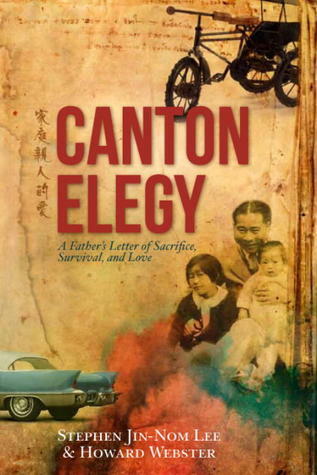 Canton Elegy is a love story, an adventure, and an intimate portrait of one family’s struggle to survive. Stephen Jin-Nom Lee, his beautiful wife, Belle, and their four young children, braved famine, flood, corruption, and the devastation of war, on their journey to America. Written so that his grandchildren might one day understand the quiet man who ran the local grocery store, Canton Elegy has all the action of a Hollywood blockbuster. From the 300-mile journey Belle and the children take on foot, to the night when Stephen stands at his window watching Canton burn, Canton Elegy describes events with an artist’s sensibility and a poet’s heart. This entry was posted in meme, Memoir, Non-Fiction, teaser tuesdays and tagged canton elegy, China, memoir, stephen lee, war on 11/02/2014 by Tien. Nellie Bennet went straight from school into the workforce. At first, it was meant to be a summer job but a few years later, she’s deep within the grind: wake up, rush to work, be on feet all day, go home and crash. Hhhmm… that somehow sounds familiar… And then one day, *WHAM* all she could think & see around her is Spain and flamenco. She took a chance, enrolled in a flamenco class, and it is a life-changing experience for her. What an amazing courage to let go all that is secure and familiar to go for your heart’s desire! It wasn’t just at the beginning when Nellie started flamenco class but numerous time and even right at the end when it was just a heart-breaking decision (that even I don’t understand but it’s not my heart / life, it’s hers and she would know best). Nevertheless, I love this book as it has given me an adventure – vicariously but an adventure nonetheless. I am envious of all the ojos (beautiful Spanish men) she’s come across though not so envious of her gypsy encounter. It was totally hilarious, in retrospect, but I wouldn’t like to be in her shoes while she was going through it. There are always some weirdos around, no matter where you are, so girls, be wary! It was a delightful read about a young woman in search of her heart’s desire and risking it all to find whatever it is to make the best of her life. 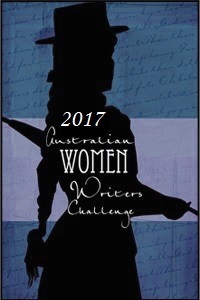 This entry was posted in Adventure, Australia, Australian Author, Memoir, Reviews, Spain and tagged Allen & Unwin, Flamenco, memoir, nellie bennet, Spain on 14/02/2013 by Tien. My interest in this book is due to my husband’s background. Whilst his ancestry is pure Chinese, his mother is Vietnamese Chinese and he himself was born in a refugee camp in Thailand prior to arriving in Australia when he was merely 3 months old. As far as I know my in-laws do not speak of their past to their children (hubby seems to mostly be ignorant of it, in any case) but due to language barrier, I can’t ask anyway. However, if they’d like the past to be buried, I’d have to respect their wishes. That doesn’t stop me checking out others’ experiences though. Looking at the chronology, at the beginning of the book, it seems my in-laws must have been in Vietnam at around the same time and escaped maybe a year or two later than the author. My mother in-law is 12 years older than the author but her experience must be similar especially since they are from the same town, Dalat. What a small world this is! This is a memoir of a childhood in Vietnam in times of war and of communist regime. From a readers’ viewpoint, we could probably see how frightening it was for the adults even from the little hints we were given from the author’s child’s perspective. They still tried to give as much to their children, to equip them as well as they could for adulthood. I first thought that it doesn’t seem that the author was too scared of what’s going on around her but at the end, I think I was wrong. She may not seem to be too scared. She was scared and she was also brave but as a child, you can easily pretend for things to be otherwise and ignore some of the more subtle hints of hardships. It didn’t mean that she didn’t suffer hardship at all. She went through a lot and especially, noting her ‘bourgeois’ background, she was more often than not oppressed. She was unable to be herself, to truly express herself but instead it must all comply with the strict & unforgiving regime. I am caught my surprise at the expressive & fluency of the English language in this book. Sure some direct translation sounds funny but that’s always a given when it comes to such flowery language like Vietnamese or Chinese etc. It definitely helps with the reading though I still found who’s who in the book confusing. Maybe it will benefit from a family tree or a glossary. If you enjoy [b:Mao s Last Dancer], you will more than likely enjoy this book. I was a little disappointed though at where it ends, it’s left too many questions unanswered. I would love to know where these people are today. Maybe there’s a follow up…? 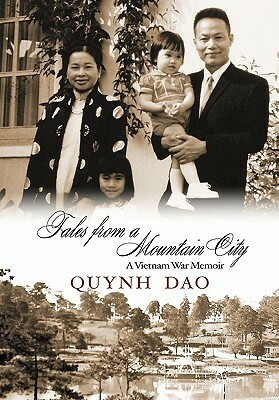 This entry was posted in Australian Author, Memoir, Non-Fiction, Reviews and tagged dalat, quynh dao, vietnam, war memoir on 01/02/2013 by Tien.